Dr. Monica Eileen Patterson is an Assistant Professor in the Institute of Interdisciplinary Studies at Carleton University. She earned her doctorate in Anthropology and History and a certificate in Museum Studies from the University of Michigan (Ann Arbor). Prior to joining the faculty at Carleton, she was a Banting Fellow at the Centre for Ethnographic Research and Exhibition in the Aftermath of Violence at Concordia University. 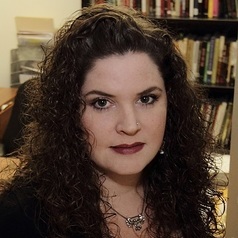 Patterson is co-editor of several articles and two books: Curating Difficult Knowledge: Violent Pasts in Public Places (Palgrave Macmillan, 2011) and Anthrohistory: Unsettling Knowledge and Questioning Discipline (University of Michigan Press, 2011). Currently, she is working on a manuscript that examines the multiple and contested understandings of childhood in late-apartheid South Africa. Patterson is also an investigator on the SSHRC-funded Partnership Development project, “Thinking through the Museum: Difficult Knowledge in Public” which brings together researchers, curators, artists, and community members seeking new terms of engagement for learning from histories of violence and conflict. As a scholar, curator, and activist, her work explores the intersections of memory, childhood, and violence in postcolonial Africa, and the ways in which they are represented and engaged in contemporary public spheres.